We have marked a distinct and dynamic position in the market by manufacturing a quality assured array of SS Pipe Plug. Approx 500 Rs to 900 Rs per Kilogram as per quality. We “Vertex Industries”, a Sole Proprietorship company established in the year 2012 at Jamnagar (Gujarat, India), have gained immense success by manufacturing and exporting a remarkable array of Brass Ball Valve, Brass Compression Fitting, Brass Flare Fitting, Brass Hose Fitting, Brass Pipe Fitting, etc. 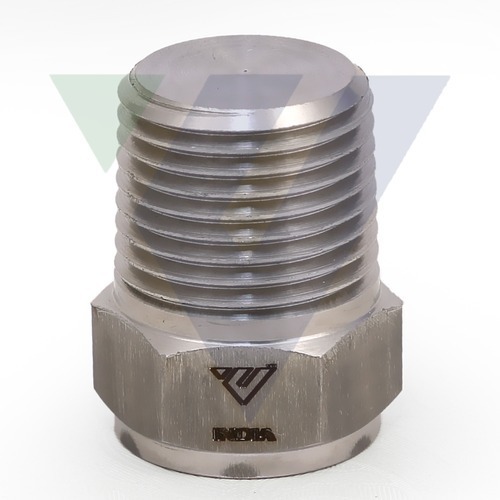 We are also known as Vertex Fittings. We export our products in USA, Canada, Mexico, Russia, Europe. Offered products are manufactured using top grade raw materials and advanced techniques in accordance with industry defined quality standards. We are managed under the supervision of “Mr. Vishal Domadiya” (Proprietor), and have gained huge clientèle all across the country.